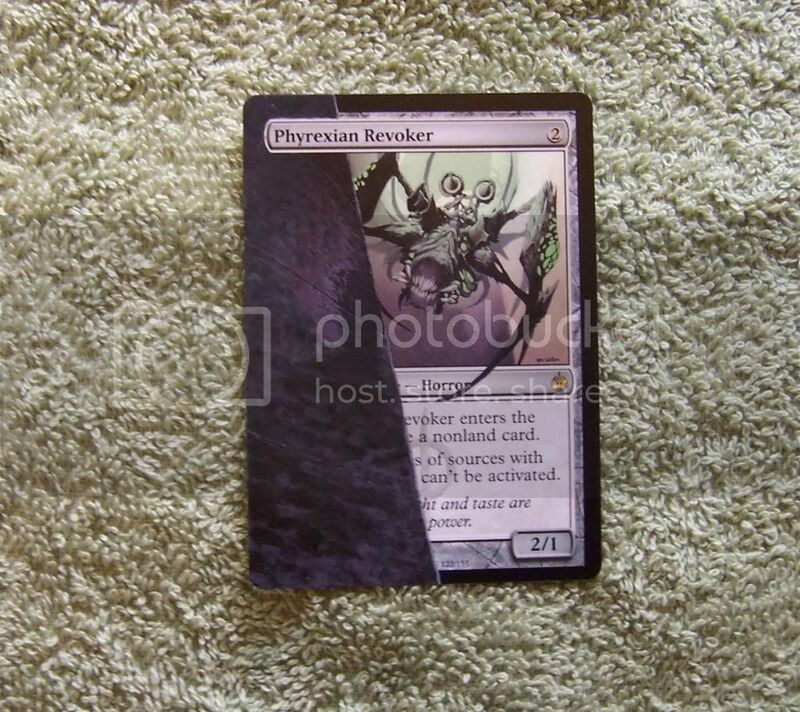 As Phyrexian Revoker enters the battlefield, choose a nonland card name. Activated abilities of sources with the chosen name can't be activated. Basic senses like sight and taste are reserved for those in power. Activated abilities are written in the form "Cost: Effect." Some keywords are activated abilities and will have colons in their reminder texts. Static and triggered abilities of sources with the chosen name are unaffected. Phyrexian Revoker's ability affects sources with the chosen name no matter what zone they are in. For example, if Soul of Ravnica is the chosen name, the ability that exiles it from a player's graveyard can't be activated.